Mark Dynarski from the Brookings Institution looks at the effects of a school voucher program on learning outcomes. He finds a significant negative impact of vouchers on education. 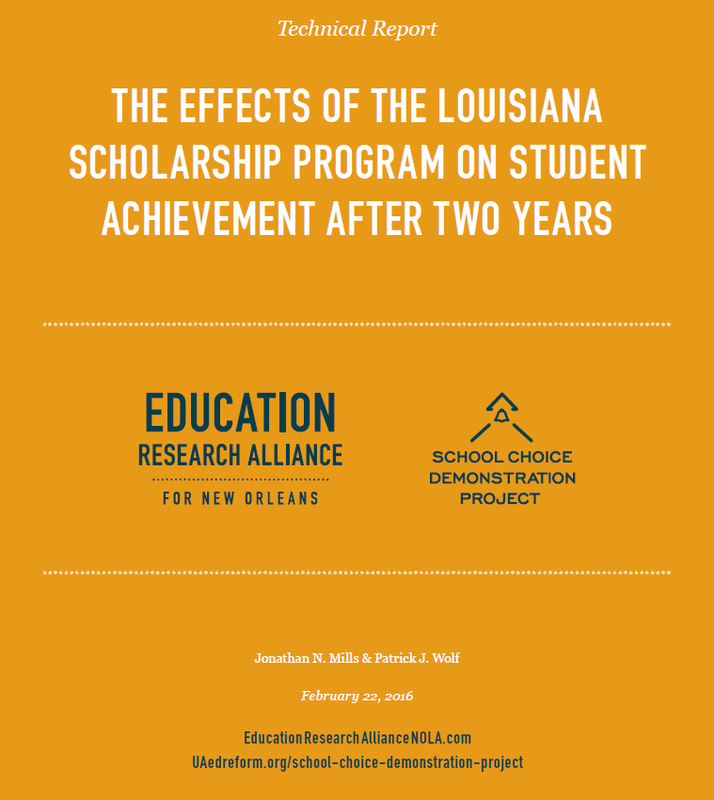 Dynarski writes, "In Louisiana, a public school student who was average in math (at the 50th percentile) and began attending a private school using a voucher declined to the 34th percentile after one year. If that student was in third, fourth, or fifth grade, the decline was steeper, to the 26th percentile. Reading declined, too: a student at the 50th percentile in reading declined to about the 46th percentile." Such report may be easily overlooked, but one must take notice that this report comes from an Institution that has long advocated for school choice. Dynarski is basically trying to understand the results of the investigation performed by Jonathan N. Mills of the Education Research Alliance for New Orleans at Tulane University and Patrick J. Wolf of the Department of Education Reform at the University of Arkansas. Dynarski tries to find alternative explanations on why students on vouchers are performing worse than students in public schools, but Mills and Wolf have designed the study in such a way that one can only arrive at one conclusion, that is, voucher schools do not perform as well as public schools. Thus, in the end, Dynarski simply states that "our historical understanding of the superior performance of private schools is no longer accurate". 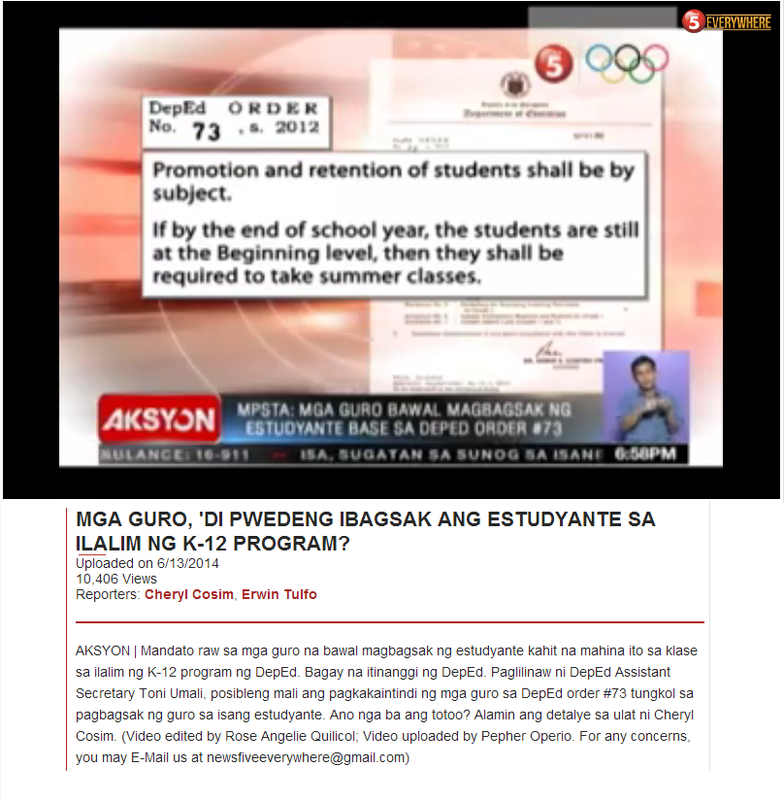 In the Philippines, I have to admit that people simply assume that private schools are better than public schools. I think that as long as private schools are not able to select only the good students to admit, that superiority is not really there. 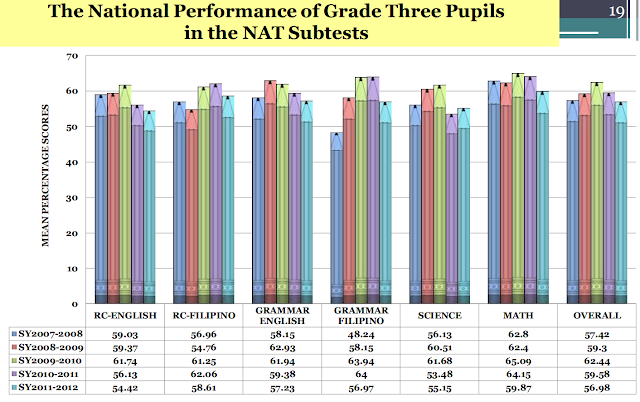 And as the state of Louisiana shows, private schools are inferior, not superior, to public schools.